The coastline where we arrange our senior football tournaments in Spain, the Costa de Barcelona-Maresme, goes from Tordera in the North to Barcelona in the South by a length of approximately 60 km. Malgrat de Mar, Santa Susanna and Calella are internationally known, lively but wellestablished places and offer in addition to long sandy beaches, reams of sidewalk cafés, restaurants and bodegas a multitude of possibilities for leisure time activities. And of course you will find at least one football “stadium” in each coastal town! ORGANIZATION // Event collaboration of the clubs FC Pineda, CF S. Susanna (members of the Federación Catalana de Fútbol), of “KOMM MIT“ and “alles fussball“, supported by the local town halls. SPORTS FACILITIES // Games are played on artificial turf pitches, amongst others in Pineda de Mar, Santa Susanna and Malgrat de Mar. TOURNAMENT MODE // This tournament is an outdoor small field tournament. The teams consist of 6 outfield players and 1 goal keeper. Games are played in preliminary group stages followed by a knock-out round. The organizer provides you with a professional tournament management and licensed referees. LODGING // The teams are accommodated in ***-, ***-plus and ****- holiday hotels along the Costa de Barcelona-Maresme, in Calella, Pineda de Mar, Santa Susanna and Malgrat de Mar in double rooms with shower/ WC. Single rooms can be booked at an extra charge. BOARD // You can expect half-board (Spanish and international cuisine) – first meal: dinner, last meal: breakfast. Generally, meals will be served as buffet, breakfast beverages such as coffee, tea and juice are free. EXCURSIONS // Also apart from football grounds and beaches the region offers various possibilities for excursions and leisure activities. 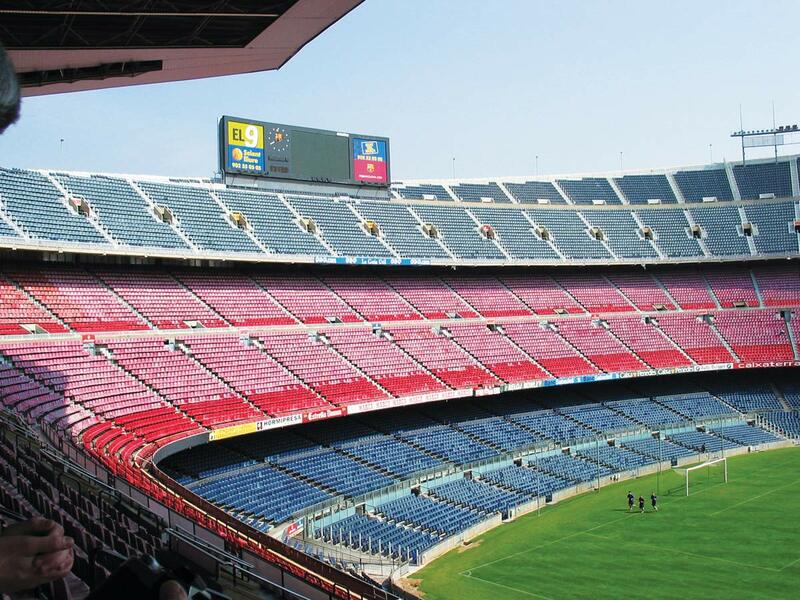 A visit of the city of Barcelona with its unfinished cathedral Sagrada Familia, the Ramblas and of course the football stadium „Camp Nou“ is certainly a highlight for everyone. This excursion is included in the event price (admission to stadium respectively museum with costs). TRANSFER // In case you arrive on your own by plane, we are gladly willing to offer you a local airport transfer with costs.